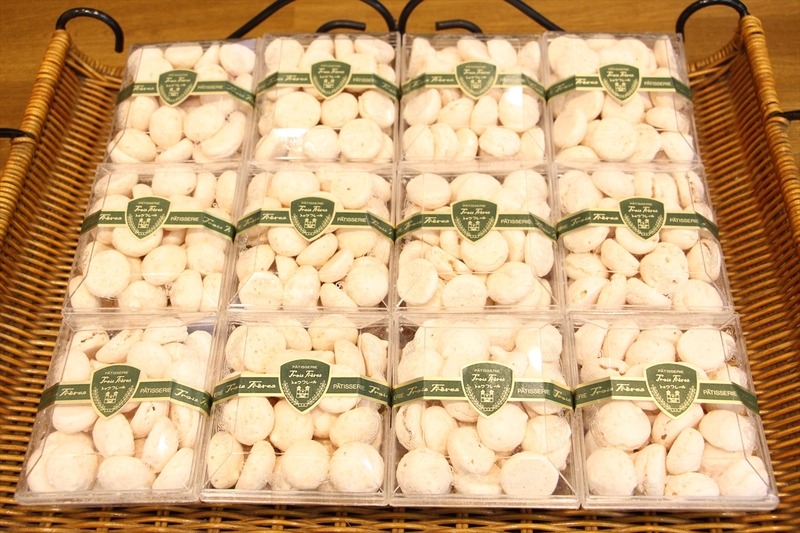 Coconut cookies is kneaded to meringue dough coconut was coarsely ground, it is dry-baked cookies at a low temperature. Because you are baked over a long period of time squeezing into bite size, you can enjoy the sweet taste of sugar powder spread the Juwa’ in texture and mouth, which was crispy. It Yes was sealed in a plastic case.